These lovely, cottage garden feel, sturdy 12' baskets are made from natural woven rattan and are just the thing for colourful summer flowering plants. 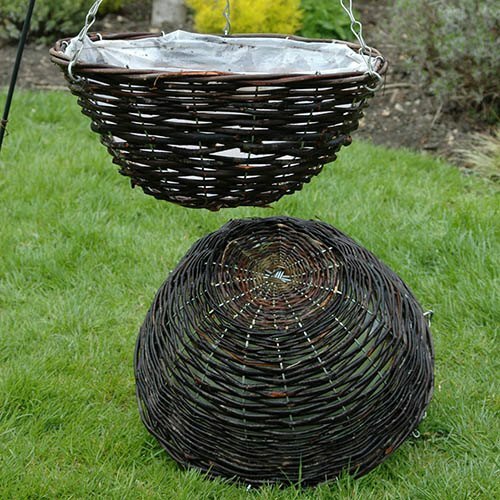 This set of 4 baskets are perfect for hanging in the corner of your garden, on opposing sides of fences, or framing doorways and entrances. Supplied with chains already fitted and lined with polythene they're ready for filling with compost and plants. Supplied as a set of 4 x 12' Rattan Hanging Baskets, with inner polythene lining and galvanised chains attached.